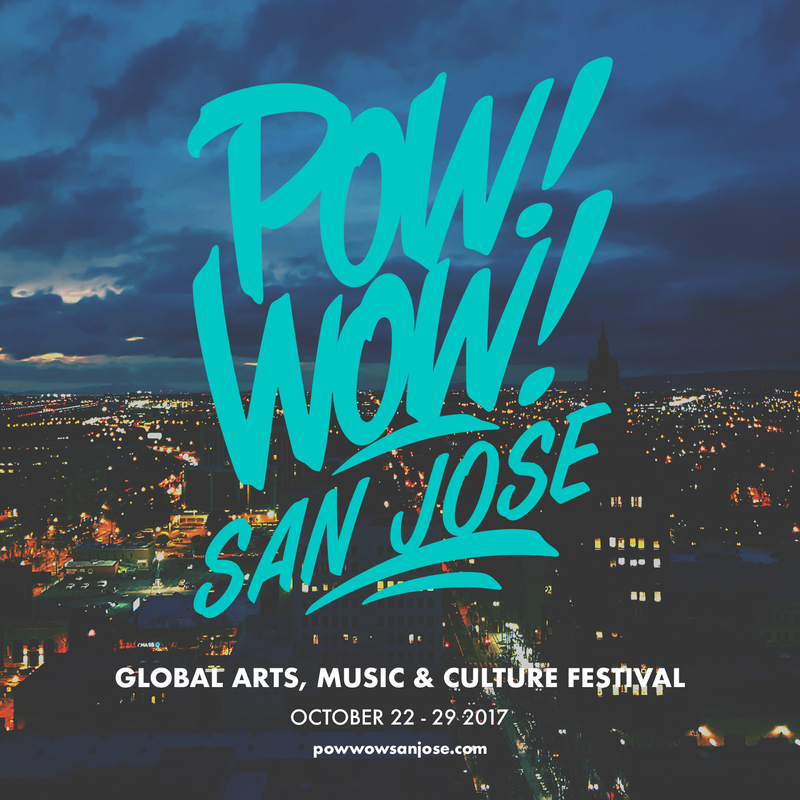 The San Jose Blog: POW! WOW! Punches Way Through San Jose! POW! WOW! Punches Way Through San Jose! The world-renowned POW! WOW! comes to San Jose from October 22- 29, 2017! POW! WOW! has expanded to 13+ cities and produced over 500 murals in countries and cities such as Taiwan, Israel, Singapore, Jamaica, Washington D.C., Guam, New Zealand, Germany and now San Jose! POW! WOW! San Jose is powered by Empire Seven Studios and Universal Grammar and is focused on showcasing a gathering of contemporary artists that engages with the broader community in the process and creation of art. San Jose’s inaugural event celebrates the efforts of local and out-of-town artists to feature 16 murals take shape. The week-long event brings art to a public forum, creating galleries on the streets for all to see and for later generations to enjoy. I’m super stoked that POW! WOW! will be spread across some of my most beloved neighborhoods like J’Town (AKA Japantown), SoFA District, East San Jose and more! Empire Seven Studios, MACLA and San Jose Museum of Art will host receptions, workshops and panel discussions with artists. Make sure to check out the daily music events or mural bike ride. While San Jose’s identity is defined by innovators developing life-changing technologies, what I find most endearing about San Jose is witnessing the city evolve and adapt. 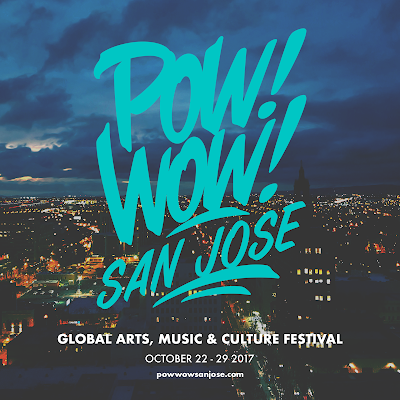 Don’t get me wrong, I’m an advocate of San Jose’s annual events, but we need more events and happenings like POW! WOW! because arts, entertainment and culture are great building blocks for a thriving and growing city. What excites me most about POW! WOW! San Jose’s iteration is that if reinforces San Jose’s commitment to shine light on the arts. Thank you again to Jasper Wong and POW! WOW! San Jose’s event organizers for bringing this event to San Jose!